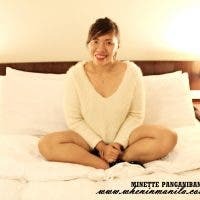 WhenInManila , there is no greater comfort food to eat but Filipino dishes. 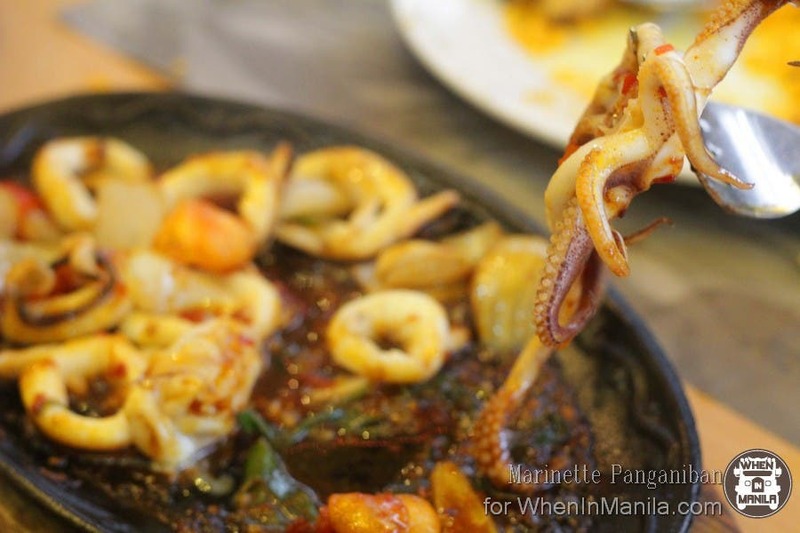 But there is one restaurant that went out of the comfort zone and made Pinoy dishes more special,Oriang by Cafe de Bonoifacio that is. 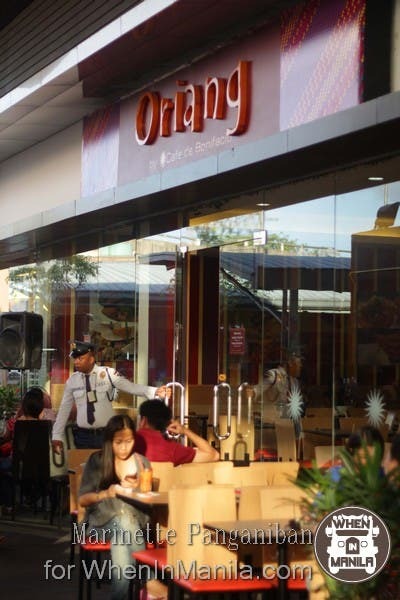 Oriang by Cafe de Bonifacio revolutionized with the traditional and put some great twist to the typical Filipino cooking. Indeed it lived up to it’s name as it was apellated to one of the bravest known Filipina, Gregoria de Jesus (wife of Andres Bonifacio, father of the Philippine Revolution and founder of Katipunan). It braved the possiblity of making Pinoy dishes even more better and tastier. Oriang has a simple great vibe for a typical lunch out for the family or friends. They offer great food in a good cost. They also have a very spacious place that can accomodate big groups. 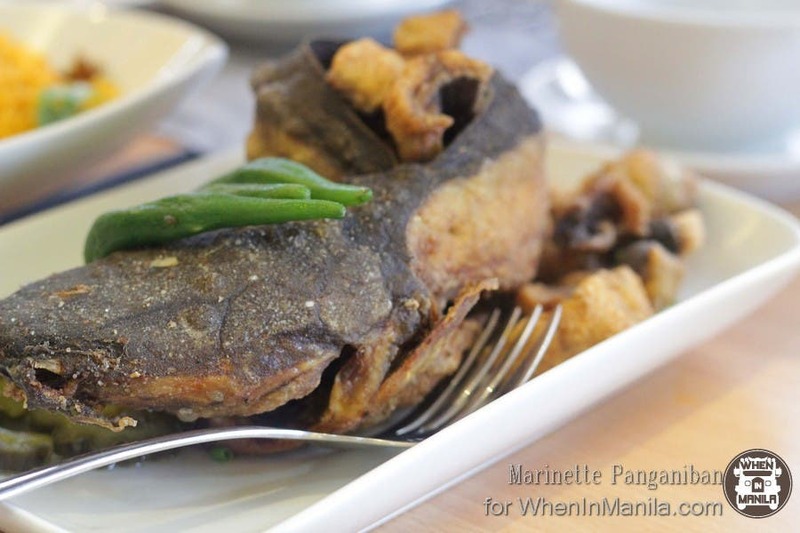 Now, that’s very Filipino– eating with company. Let me start with superb coolers. Summer has started anyway, and I really recommend Oriang’s shakes and juices that are made with the freshest fruits. I personally love the Watermelon and Basil juice, I find it much more refreshing because of the twist given by the basil to the sweet fruit (I had 2 glasses of this!). For the appetizer, we had Oriang’s Crispy Spring roll. This is their own version of their crispy Lumpia. Instead of wrapping the vegetables in a lumpia wrapper, they presented it this way so that you can both enjoy the crispness of the wrapper and the fresh vegetables. Of course, a Filipino table will never be complete without a stew and warm soup to sip. Oriang’s Bulalo Nilaga is soothingly warm to taste. Oriang’s signature Super Fried Rice is sinfully good. I love the aligue rice and the well seasoned liempo. They have an array of rice specialties that can be shared by 3-4 people. I guess they made each of it special because they understand how starch lover Filipinos are.